DIY: Pierce a plain hoop earring through the pom poms of your choice. Done and done. DIY: Iron-on patches are a game changer, friends. This is an awesome way to re-purpose a thrifted pair of jeans or shorts, too. DIY: To create a similar vibe, stitch or use fabric glue to adhere strips of lace trim to a plaid shirt. 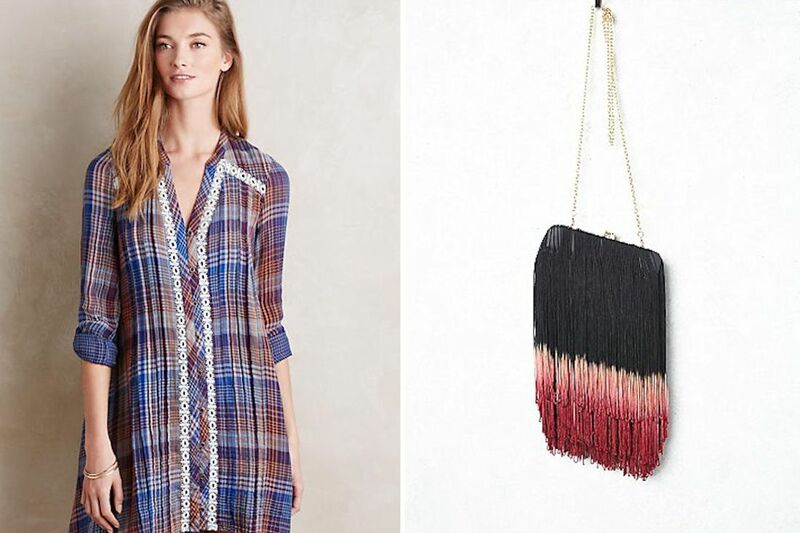 DIY: Bleach and dip-dye long black fringe and glue onto a hard shell clutch. A pendant or small figuring can be attached to the clasp to create the same look; strong craft glue like E6000 is your best bet. I’m thinking I need to take this one on! Looking for more ideas? Check out past “DIY Inspiration“ posts!